Mostly-impressive press release from Capcom Japan just arrived. 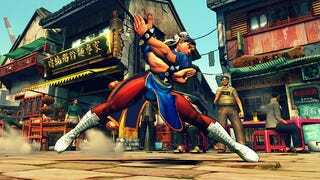 Street Fighter IV is out, and they're excited to let us know that they've shipped two million copies of the game. That doesn't mean two million copies have been sold through to a customer, it just means two million copies have been shipped from Capcom's warehouses. Though with the popularity of the franchise and the hype surrounding the first proper entry in the series for over a decade, we'd imagine the vast majority of those two million games are already spinning in a disc drive somewhere on God's green earth.